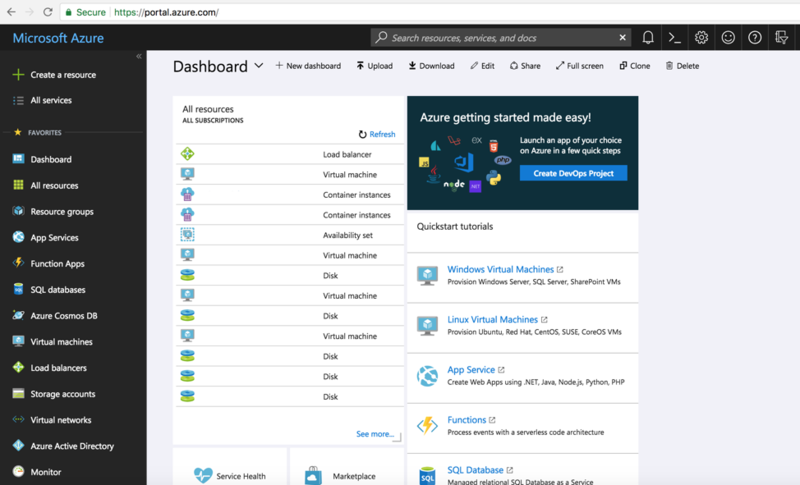 Why Use Microsoft Azure Services? Microsoft Azure services is used by many companies and government agencies for their software development and hosting infrastructure needs. Development teams can quickly set up and dismantle development environments and IT operation teams can quickly host their production software. It helps to avoid complexity and expenses in procuring and managing physical servers and data center infrastructure. 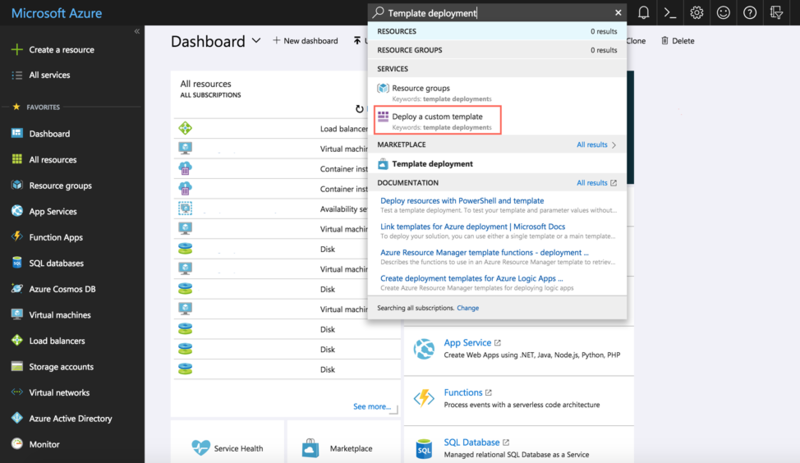 What is an Azure Resource Manager (ARM) Template? 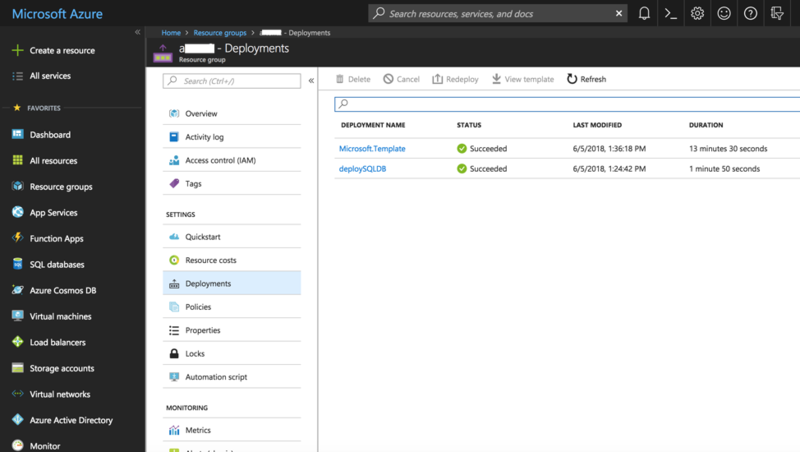 The Azure Resource Manager (ARM) enables you to easily provision and control resources on Azure. 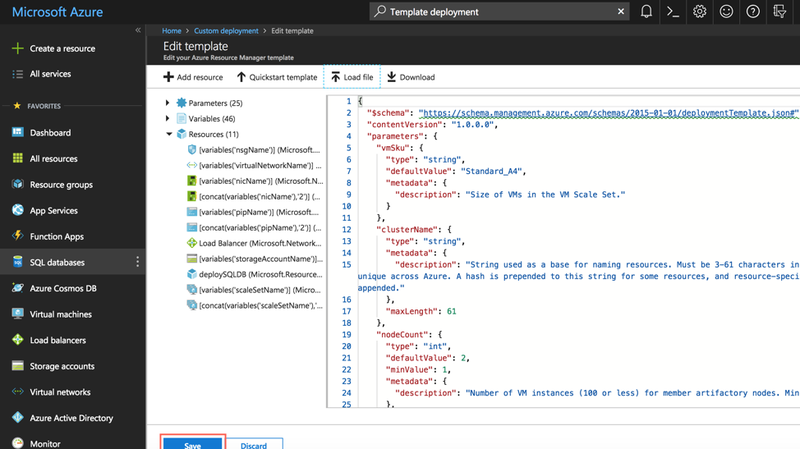 Software infrastructure environments can be deployed to Azure using Azure Resource Manager (ARM) templates. An ARM template defines the environment for the software application to be deployed. ARM templates help organizations treat infrastructure as code. This “Infrastructure as Code” process greatly alleviates the pain in maintaining consistency across development, test and production environments. 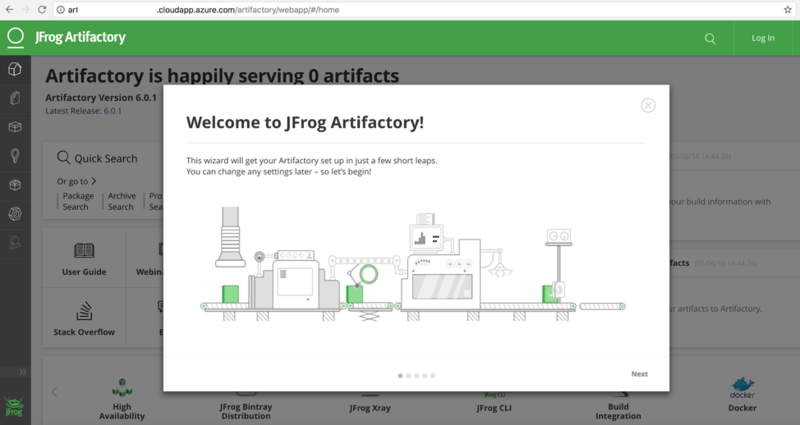 To simplify setting up your JFrog Artifactory HA cluster environment, we have created a dedicated ARM Template The ARM Template enables you to deploy and manage the Artifactory HA solution using a JSON description file. The JSON file describes the list of resources needed and their dependencies. The ARM Template deploys and provisions all of the resources in a single, coordinated operation. It also provides ease in scaling up and down the Artifactory HA cluster nodes based your organization’s usage and needs. 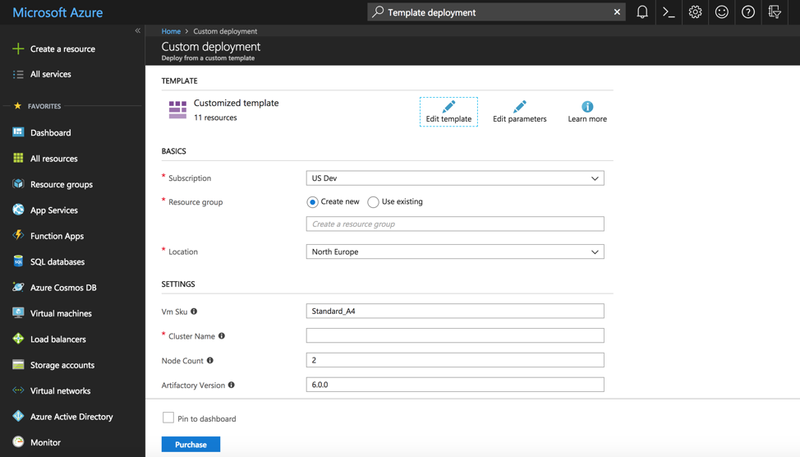 This blog post shows how to easily create and manage your JFrog Artifactory HA cluster environment on Azure using our customized ARM Template. These are the infrastructure components described in our Artifactory ARM template. Ensure you have sufficient quota and available resources including VM instances, public IPs, load balancers and virtual networks allocated for the region on which the ARM template will run. Get your Artifactory Enterprise license. You can get a free trial license from https://jfrog.com/artifactory/free-trial. 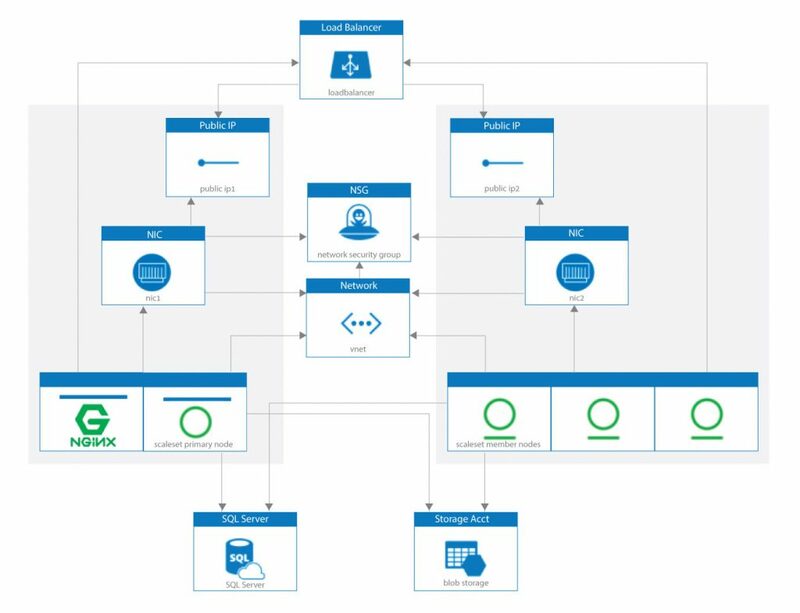 The following step-by-step workflow demonstrates how to deploy the Artifactory HA using our customized ARM template. 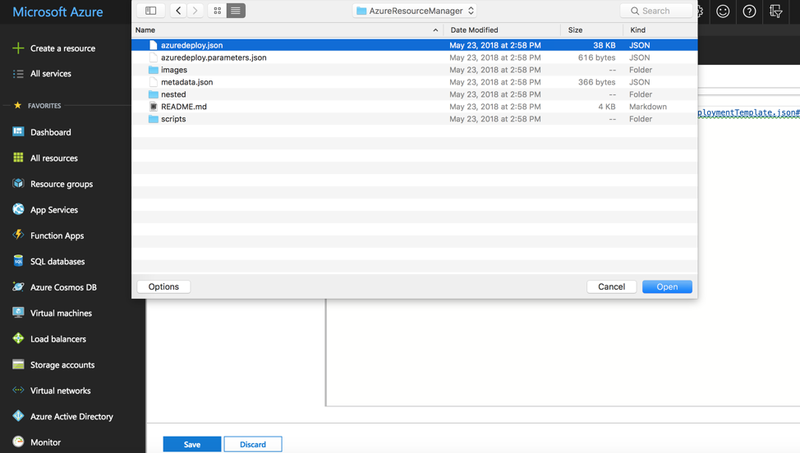 Go to the AzureResourceManager folder in the GitHub repository. 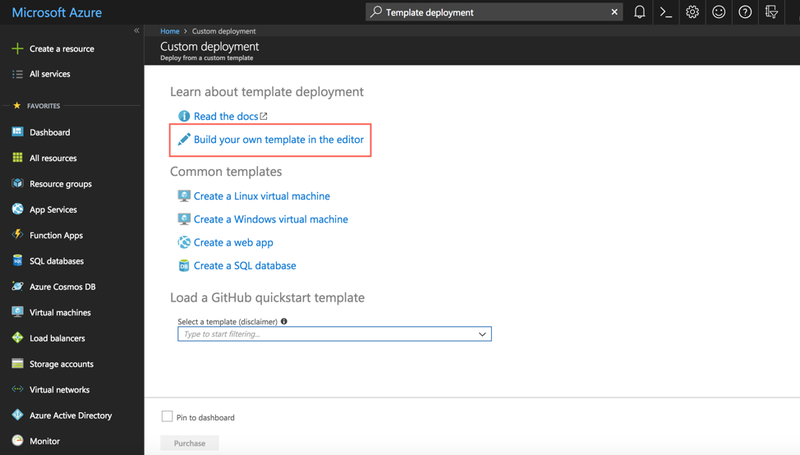 Fill out the template parameter values in the deployment form. Click Purchase to start the deployment. Wait for the deployment to complete. It should take approximately 20 minutes. 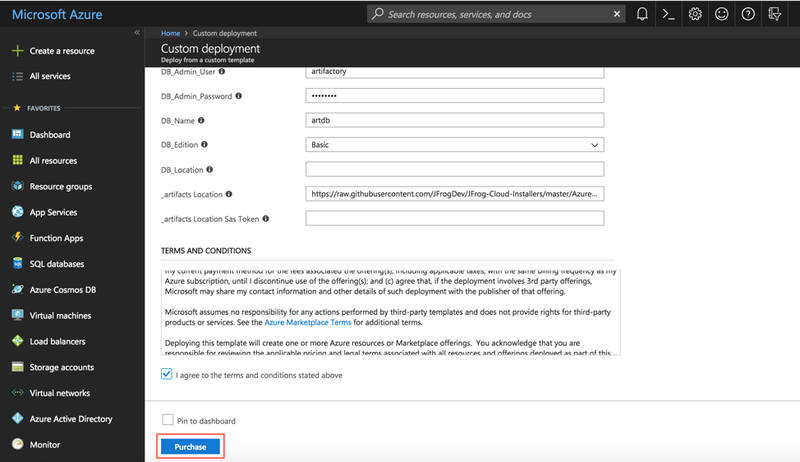 Access Artifactory using the URL displayed in the output section of the completed deployment. Git clone the JFrog-Cloud-Installers public GitHub repository. 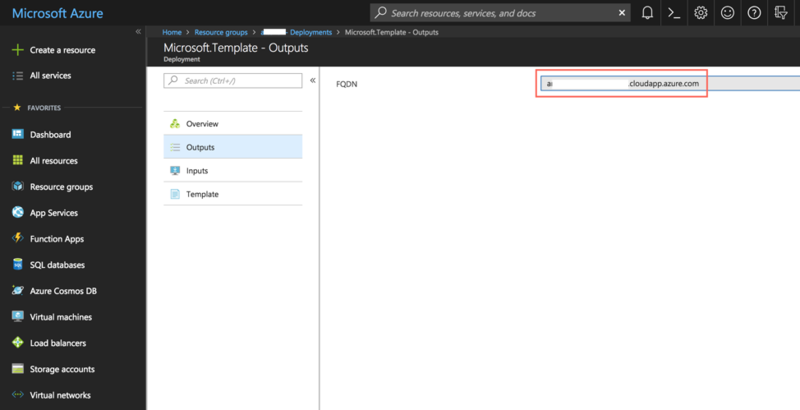 Customize the ARM template files located in the AzureResoureManager folder above git checkout. Click Build your own template in the editor. Click the Load file tab and select the azuredeploy.json file from the AzureResoureManager folder in the JFrog-Cloud-Installer Git checkout (described in step 1). Great! You have successfully deployed Artifactory using the customized ARM charts. 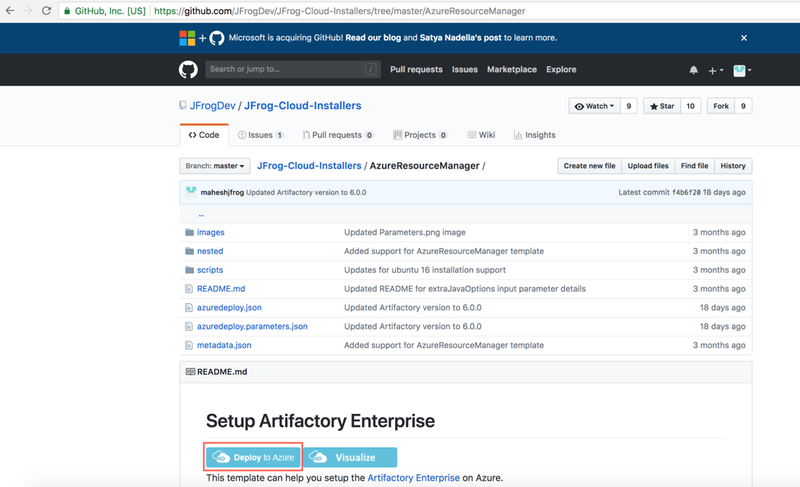 To learn more about how to fine tune your Artifactory deployment, see JFrog Cloud Installers.